Follow Abella Law Firm, L.L.C. About Abella Law Firm, L.L.C. 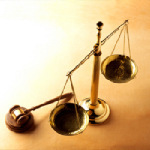 We are the trial attorneys in Belton, MO, in service since 2000, at Abella Law Firm, L.L.C. that have the forcefulness to make the bloody-minded as cooperative as you would want!